In the United States, the proportion of black professionals in science and engineering occupations is “substantially lower” than their representation in the workforce as a whole1, even though a “relatively high” proportion of black students enter college intending to major in STEM (Science, Technology, Engineering, and Math) fields2. Many researchers have worked to pinpoint why this disparity exists and how to fix it. Interested in learning about the issues facing black scientists and STEM majors, or looking at successful black scientists throughout history? The Georgia State University Library has many resources of note, from accounts from black scientists to scholarly articles to encyclopedias. Check out a selection of our resources below, along with some links to organizations for black scientists. Barber, J. T. (2006). The black digital elite: African American leaders of the information revolution. Westport, Conn.: Praeger. Bedini, S. A. (1999). The life of Benjamin Banneker: The first African-American man of science (2nd ed., rev. and expanded.). Baltimore: Maryland Historical Society. Carey, C. W. (2008). African Americans in science: An encyclopedia of people and progress. Santa Barbara, Calif.: ABC-CLIO. Jordan, D. (2006). Sisters in science: Conversations with black women scientists about race, gender, and their passion for science. West Lafayette, Ind. : Purdue University Press. Blair, J. (2012). 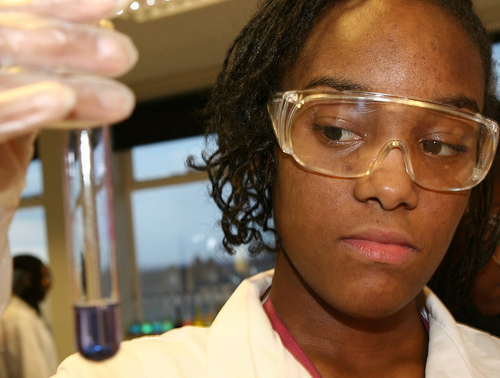 Where are all the black women in science?. New Scientist, 215(2883), 50. Lewis, J. N. (2009). Rethinking trends in minority participation in the sciences. Science Education, 93(6), 961-977. Wyatt, G. E., Williams, J. K., & Henderson, T. (2009). On the outside looking in: Promoting HIV/AIDS research initiated by African American investigators. American Journal Of Public Health, 99, S48-S53. (1) National Science Foundation, Division of Science Resources Statistics. (2011). Women, minorities, and persons with disabilities in science and engineering: 2011. Arlington, VA.
(2) Maton, K.I. & Hrabowski, F.A. (2004). Increasing the number of African American PhDs in the sciences and engineering: A stregths-based approach. American Psychologist, 59(6), 547-556. This entry was posted in Biology, Books, Chemistry, For Faculty, For Graduate Students, For Students, Mathematics & Statistics, Physics & Astronomy, Uncategorized and tagged Black History Month, Health & Science. Bookmark the permalink.